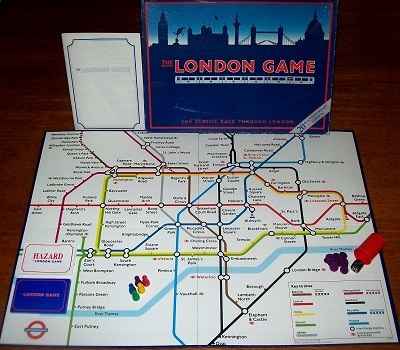 'THE LONDON GAME' BOARD GAME: The classic race through London. The object of the game is to visit six of London's places of interest and be the first to return to the mainline station from where you set off. You travel by the Underground, changing lines exactly as you would in real life. The game is in complete and excellent condition throughout. The box is solid and every corner is fully intact without any use of sellotape. The game board is in immaculate condition - as is every card, counter and playing piece.